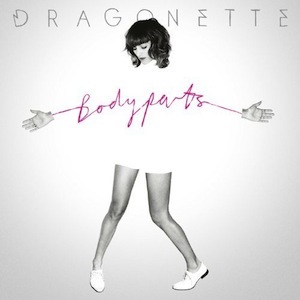 The third full length release from Canadian electro-pop trio Dragonette has the potential to be a “must-have” for any electronic music fan, but may fall a bit short due to its pop music overtones. If you’re the kind of guilty pleasure-ist that finds yourself putting on artists like La Roux, Metric, or Poliça to cure a laborious life, Dragonette may be another pain killer for the mundane, but it also could be very bothersome. Don’t get us wrong, Bodyparts is an extremely fun record. It’s the album you put on after a long week of work when you’re ready to let down your hair, loosen up your belt, and pour yourself a stiff one. It has huge beats, memorable melodies, and mixes itself up enough to be noticeable. But just barely. With all of the female fronted bands coming out these days, it may be easy to skim over some really great records and not hear enough diversity to stand out. Record X sounds like record Y and wait, then there’s record Z that sounds like X+Z. It all sounds the same. The same synth. The same electronic drums. The same effects on a vocal. It’s actually quite sad. For us the standout track, which showcases the most vocal purity from lead singer Martina Sorbara, is “Untouchable.” It’s not upbeat, it’s not sad, it’s just a solid song. You can stream the whole album over at AOL Spinner to see exactly what we’re talking about.